David is head of Clyde & Co’s procurement law practice. 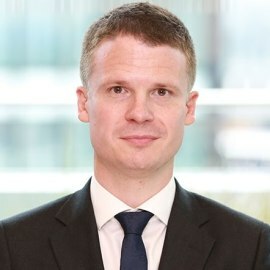 He has over 15 years’ specialist experience in advising universities, schools and other public bodies on procurement and inward investment deals. David is lead partner for Europe in Clyde & Co’s global education team, which comprises specialist lawyers across a range of disciplines, including corporate, commercial, regulatory, dispute resolution, employment, intellectual property, technology, banking and finance, Islamic finance, construction and real estate. The global education practice provides joined-up commercial, pragmatic and innovative advice to education sector clients on all aspects of their business. The Clyde & Co global education team operates across the firm’s global network of 47 offices. In Europe, its clients include a large number of UK universities, schools and regional purchasing consortia, as well as sector bodies including the UK Higher Education Procurement Association. David is based in London and advises clients on a global level. He is fluent in French and German.